Read these amazing testimonials ! Below are just a few samples of the endorsements Dr. Linda Seger has gotten over the years. Some are referring to her nine books, which focus on screenwriting, and others for her work as a consultant. Linda is one of the world’s foremost script consultants, and actually created the script consulting career in the 1980’s. 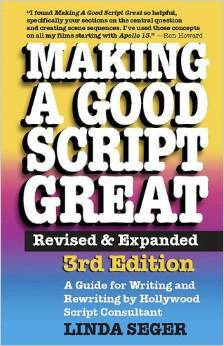 Her most well known book, Making a Good Script Great, is an industry staple. Linda is also an internationally known speaker and has conducted workshops and seminars in over 30 countries.